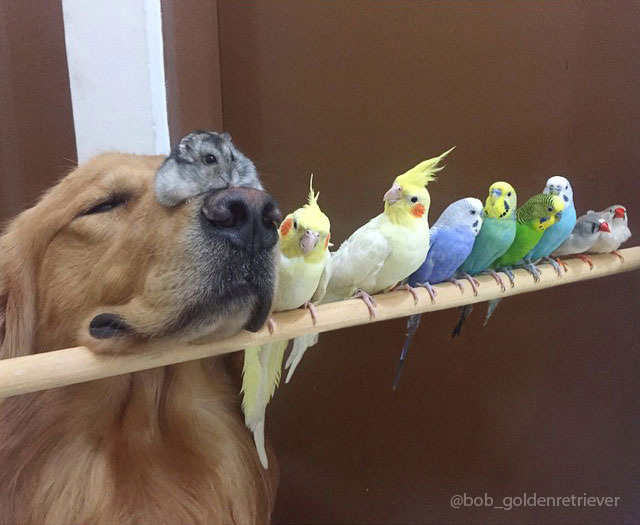 Hamster befriends a dog and 8 birds. It is astonishing how animals are so ready to befriend each other most of the time…unlike some of us humans! Below you will find pictures showing a hamster befriending a dog and 8 birds! Click next to view them all! This hamster befriending this dog and all those birds is awesome!! !